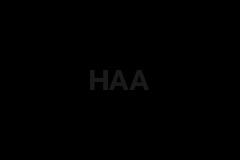 ROGUEHAA is a design and urban advocacy collaborative, and the complementary personality to the architectural firm, Hamilton Anderson Associates. While HAA focuses on the design and construction of buildings and landscapes, ROGUEHAA operates outside the boundaries of traditional professional design practice. Founded in 2008 as an informal interdisciplinary group of volunteers, the studio’s primary directive is to serve as both a forum and catalyst for thoughtful design discourse through a series of initiatives geared to engage the community. Through these outlets, the studio seeks to cultivate public awareness and dialogue around current design issues and leverage these conversations toward innovative work.